She Helps Me Make Sense of my Life Here on Earth. 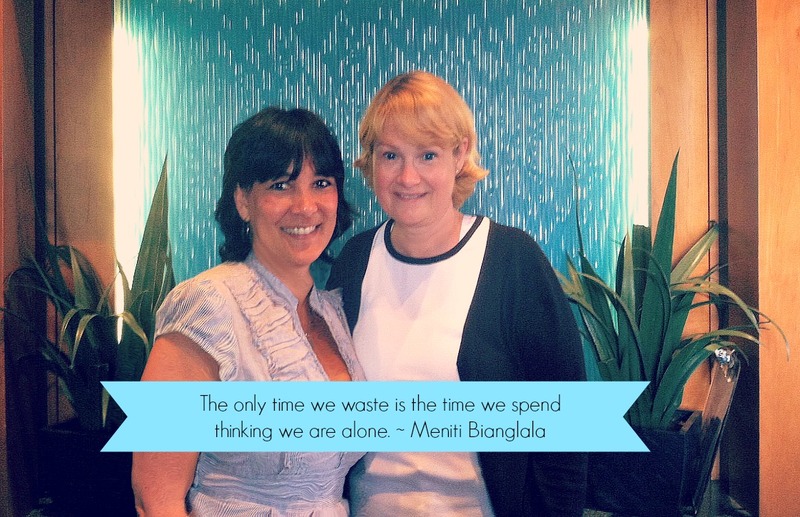 Today’s post comes from Live Brave founder and creator, Lesley Glenn. 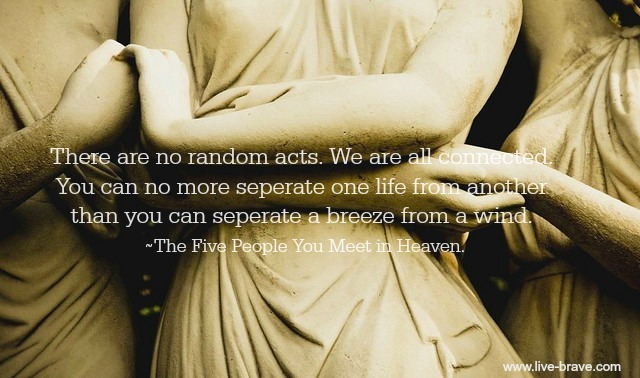 “It is because the human spirit knows, deep down, that all lives intersect.” – The Five People You Meet In Heaven. Everyone I meet, has a purpose in my life. I met Debbie, in 2009 at my home church. A mutual friend, approached me one Sunday, after service, and asked if I would be willing to pray for Debbie, alongside of her and a few others. It was a time in my life, when I was experiencing deep healing (emotionally and spiritually). I was honored that my friend would count me worthy to pray for someone else. I knew that we were praying for Debbie’s health. That’s it. No details. She was wearing gloves at the time, so I was aware that she was dealing with an illness that if exposed to germs could be detrimental. When my hand touched hers to pray, I felt an electricity go through my body, such as I have only felt with two other people. She had just been grafted into my life. I knew I needed her. I knew God had just given me one of the greatest gifts I would ever receive. I just didn’t know why at the time. After our initial meeting in 2009, I didn’t see Debbie again for two years. We didn’t talk or email or text. We stayed a little connected by social media, but it was nothing to which you could attribute a nurtured relationship that happened with time spent together. We never met for coffee, or hung out to get to know each other. She didn’t go to my church on a regular basis, and we didn’t run with the same people, though we had some mutual friends. When her name came up in conversation, I would share how much I loved her, and yet, I had only spent time with her once in my life. Debbie attended my non profit’s fundraiser in 2011. For hours before the event, my spirit was aloft in the anticipation of seeing her again. When she arrived, I cried. I hugged her so tight, that I didn’t want to let go. Her spirit grafting even deeper with mine. I needed her. And again, I didn’t know why. I was diagnosed with breast cancer a year later. 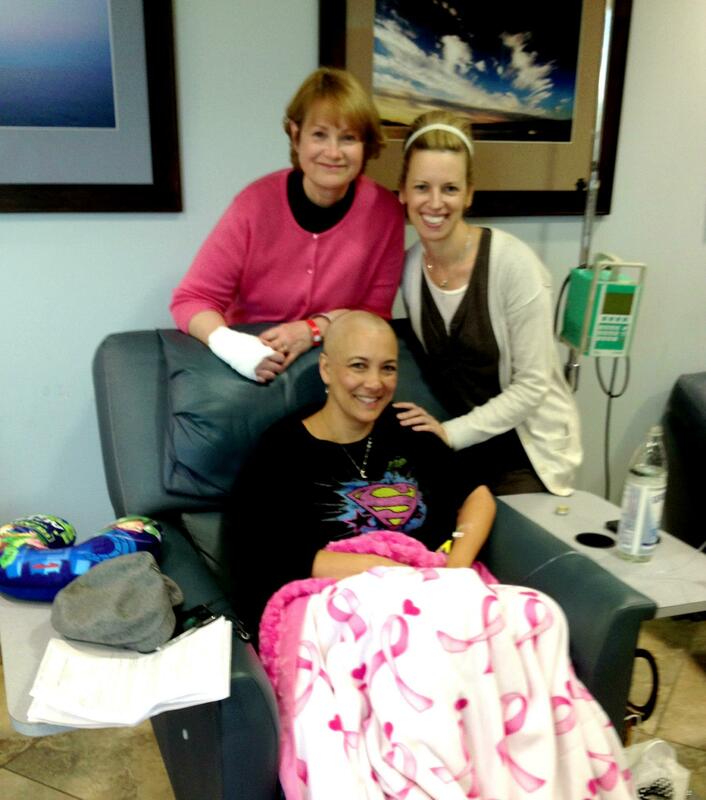 I was further diagnosed with Stage IV metastatic breast cancer. Debbie and Laura. Friends holding my heart during chemo. Because Debbie has walked this journey. For over 10 years. And she would now walk it with me. She was this gift that God gave me three years before I knew why. I was humbled by his attention to details to intersect my life with hers. Our friendship began to flourish. Debbie and Judi Noble at a Dream Night Event. She is my teacher on how to live with this disease. She is my inspiration that I too, can live a long and fulfilled life. She is my encouragement when I fall prey to a pity party. She understands the deep meaning of breathing life and presence everyday. She laughs with me about the color “pink”, and the dreaded estrogen positive weight gain. She cries with me, when someone’s unintentional words have cut to our core. She helps me see the gift in everyone around me, as she loves ….. unconditionally. She knows what I mean when I tell her that I never wanted to become an expert with mortality always sitting on my shoulder. We recognize the creator, our God in each other, and acknowledge that life it is more than trust and faith. It is LOVE. And it is GOOD. I am not quite sure how I would have fared the past year and a half without her. I am so glad, I didn’t have too. 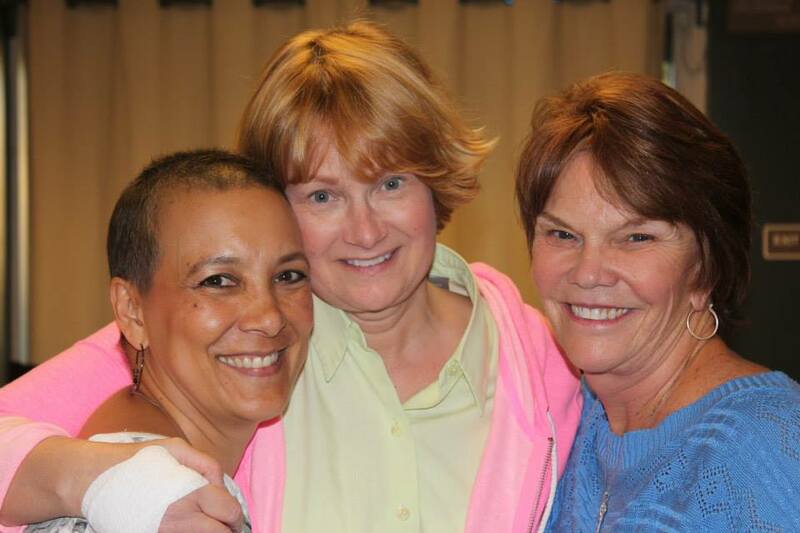 In the cancer world we are called “Met Sisters”, or “Metavivors”. In my world, she is my kindred spirit, my soulful sister grafted into my heart and my life. All because of a gracious God who knew. Who has been gifted into your life, before you even knew the reason why? I would love to hear your story. Lesley is a devoted wife, and mother, loyal friend and sister, and loving daughter. She is an artist, and freelance writer, a world traveler, a metavivor, and a social entrepreneur. Lesley lives a life cultivating gratitude, knowing that each moment is an opportunity and each day an adventure. She believes that her purpose in life is to breathe heaven on earth by being fully present and living wholeheartedly, and desires to encourage others to do so as well. Next postWriter, we want to encourage you. Isn’t it? He amazes me all the time. Thank you Stacey.